Walking Basketball. There is a place for any size, shape, fitness level, age, gender and ability! Walking Basketball delivers a walking paced version of the fast and furious game we are all used to. Walking Basketball is suitable for all irrespective of gender age, sizes, abilities and/or impairments. 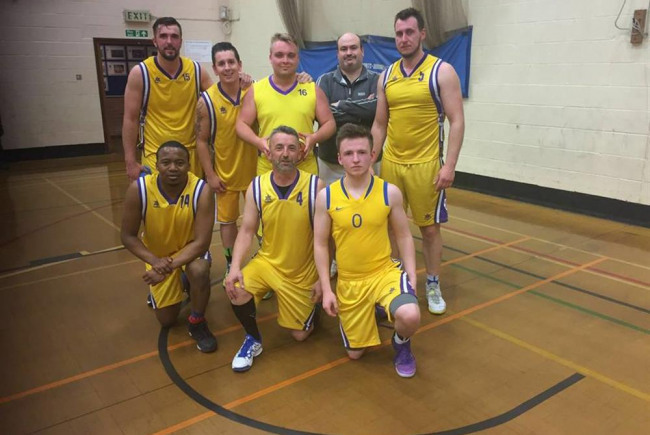 Whist Walking Basketball is for everyone we have found the following groups benefit particularly well from our sport - People over 40‘s, 50’s, 60’s+ looking to maintain a good level of fitness. Obese adults,children and younger people. Mum’s getting into shape after pregnancy. Post injury/surgery rehabilitation candidates. This new sport although aimed at the over 40's can be played by most. Obviously this will benefit so many over 40's who can or find it difficult to run. Walking basketball is also a route back into basketball for those who maybe embarrassed or worried they could not go straight into the running game. There are also cases of injured players playing walking basketball as a physio route back into the running game. Great for our club to have something for older ex players, also a place for our injured players. This would be a great recreational / social activity for the community and a good place to keep help people be more active in there lives. 15 regular players. Buy kit and play a competitive game. Only Basketball club in the town of Kettering. Club has 2 Mens, 1 Womens, Under 19 and 4 junior teams. Project Delivery Manager: Kettering Phoenix The Project Delivery Manager takes legal responsibility for receiving and spending the funds raised and ensuring the project is delivered.